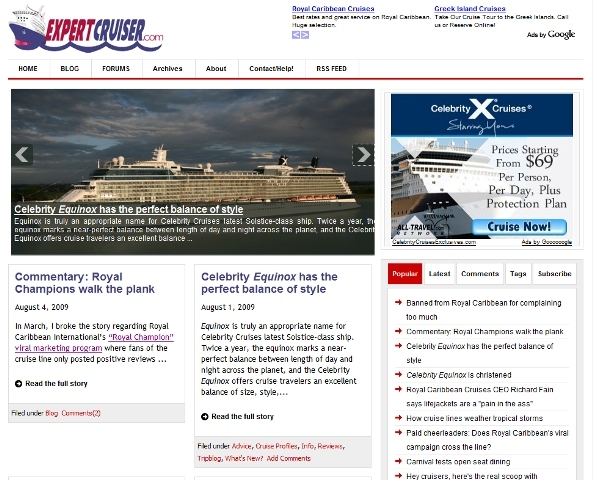 In the coming days www.expertcruiser.com will be launching a whole new look. While the view is different you will still find the trusted cruise articles and commentary you can count on. You’ll also find a few new cool features as well. The new site design aims to put more on the home page in an easier-to-find format that allows you to get to everything from blog posts to ship reviews quickly and easily. Cant wait for the new look. Looks really nice and clean, plus a little more “rich” than the old design – very professional! I especially like the newsreel/slideshow/media box.